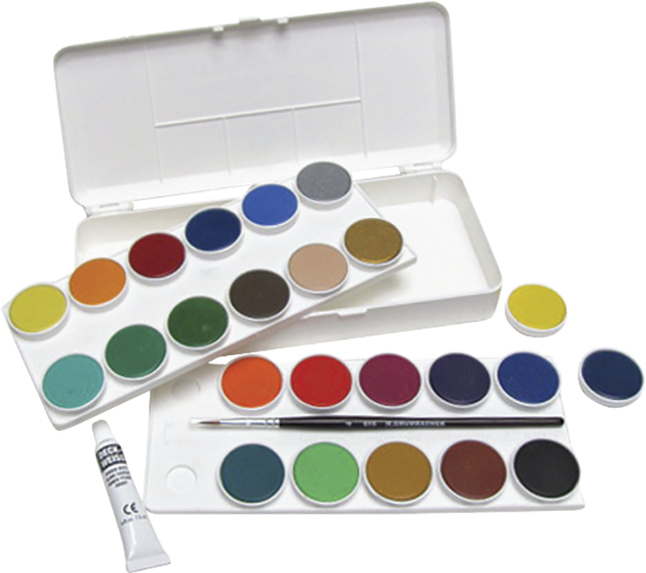 Grumbacher Watercolor Paint Set comes with round red sable brush and a 7.5 ml tube of Chinese white. Set features full-circular pans of Non-Toxic watercolors that instantly release strong washes of dazzling color. Opaque Watercolor Paint Set offers maximum brilliance and pure color intensity with fine milled pigments. Contains 12 assorted watercolors.